Most of today was dedicated to Constellation tuning. Steve Ellison programmed up the menu of user-settable presets that will become the painter’s pallette for the system designers, Francois Bergeron and Vikram Kirby. The pallette gives them easily understood parameters such as the the reverb Time, gain, etc, that will allow them to tailor the response of the sound system/room to the music and spectacle as the creative process unfolds. The beauty of electroacoustic architecture is that the acoustics can be reshaped from song to song, gradually so that the audience has no conscious awareness or the opposite: a dramatic moment to create a strong conscious effect. The settings can be made completely plausible for the shape of the space that you see around you, or can be dryer and more intimate than you might expect or, of course, much larger and more reflective. Once the lights go down, the mind loses sight of the scale of the performance space, and creative minds can begin to operate on rescaling the room to most appropriately contain the soundscape. Imagine yourself having the ability to pull down a wall of thick curtains in a small room and reveal the walls of the Notre Dame Cathedral behind them. This is the level of capability now in the hands of the system designers. This is NOTHING like having a Lexicon at FOH. I use this simple analogy: A dry room with house reverb puts the singer in the shower but leaves the audience watching from the desert. (Who the singer is that you imagine in the shower I will leave up to you). All the reveberation is in front of the listeners, and the room acoustics clues of spatiality are missing. A room with electro-acoustic architecture puts us ALL (audience and performer) in the shower, desert, or something in-between TOGETHER. The spatial clues are there – precisely because they are ACTUALLY there. An audience member’s clap will reverberate from the “walls” just as the performers do – this absolutely will NOT happen with FOH reverb. Yes it can happen with actual hard walls – but walls only have one setting. Yes it can happen with variable acoustics (moving panels, drapes etc.) such as we see in some modern concert halls. But the Constellation system does not require a four hour labor call to open chamber doors, drop in curtains etc, to move a hall from highly reverberant (symphony) to less reverberant (chamber), or to extremely reverberant (organ). Constellation can move in seconds, with a single click (or cue) from dry enough to feel a tight, pulsing, fast-paced drum beat all the way to cathedral chanting (and very importantly, the land between). It is no coincidence that this capability was designed into this system. 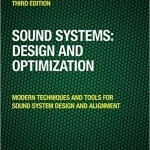 Francois Bergeron has been an expert in complex spatial sound systems for all the years I have known him. After all he is the guy who programmed “The Little Mermaid” show for me at Tokyo Disney Sea, where an entire orchestra is swirls around and goes down the drain. It has been running there every 20 minutes since 2001. Hopefully you get the idea. What Steve, Pierre and I will leave Vikram and Francois with with will be a simple web page with programmable presets which can be logged in as cues in LCS. Then the fun begins, integrating this into the production. In addition to Constellation tuning there were a few leftovers from our previous tuning work. We had to check the 28 Melodie boxes of the 4 opposite side clusters. The fact that we waited this long for this step lots about the quality of the install by Solotech. The very small number of wiring/install issues gave us high confidence that these clusters would be in good shape. 28 speakers checked: 28 speakers good. The fact that we did not have to reposition any of the 8 clusters or modify any of the inter-box angles says lots about the quality level of the Thinkwell design team. Anyone reading this who has been on a job site where I did the SIM tuning knows what the odds are that speakers are going to SUBSTANTIALLY moved is: very high. In this install there were 56 Melodies (Mains), 23 CQ-2, 32 UpJunior, 43 UPM-1P, 32 MM4-XP (Surrounds), 10 600 HP (subs) and 24 UPJ-1Ps (Constellation) that required NO REPOSITIONING OR ANGLE CHANGE. The cardioid configuration of subwoofers was re-angled to make best use of its cardioid steering (a very simple job for the riggers). Only the Soundbeams had to be moved (two meters rise in level and angularly adjusted) – again a minor change in the big scheme of things. Hats off to the Thinkwell team for excellent design work and to the installers for putting it in like the plans. The design goals of the SB-2 are quite challenging: to cover the opposite side of the circle -without disturbing the near side. The intent was not COVERAGE in the traditional sense – as in – sound or NO sound, but foremost for vertical image control. This is where scenic design adds a challenge: a shower curtain. Yes a thin plastic sheet around the room perimeter to obscure technical areas, catwalks etc. The SB-2s are behind it. Acoustically transparent, of course….. kind of. We measured with the curtain in place – and pulled back – 6 dB loss from 2k Hz on up. Result: we have to drive the HF harder to get to the other side. Result: splash and spill on the near side is stronger than desired. Result: Adjusted the tilt angle up to reduce the level on the near side. Result: Better but still not optimal. Decision: Riggers will move the SB-2s up 2 meters during the daytime tomorrow and we will reset the angle down and try again. The verification proofing technique makes use of symmetry of the room. We placed mics at opposite sides and stored the individual responses of box 1 to 5 with its mirror opposite. 1 polarity reversal found. Level and EQ were verified as matched to each of the remaining UB speakers. Delays were adjusted individually for each because the geometry of the Mains and Ubalcs, as constructed do not make for an absolutely concentric pair of circles. The differences overall ranged about 3ms over the 70ms of approximate range. To have a system designed to able to be tweaked to this level of detail is something you just don’t see every day………. or pretty much ANY other day. Wow! Hey Bob, interesting setup…any chance of seeing some photos? Would love to show some pics but I can’t. This show is still under development and photos of the work in progress would not be appreciated by those working to make this happen. I will draw up a napkin sketch to help to wrap one’s head arouond what the speakers are doing here, but no pics. I will have some SIM plots of the actual data as well…. but after 30+ hours of travel my 1st priority is sleep. Constellation | Bob McCarthy” ended up being well worth writing a comment here! Just simply needed to say you really did a terrific work.